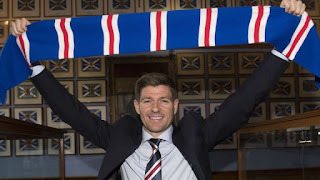 Steven Gerrard has dropped a hint of his tactical plan for tomorrow’s trip at Parkhead, by confirming he expects Celtic to have much of the ball and high pressing and compression will be key for his visiting troops to get any kind of result. 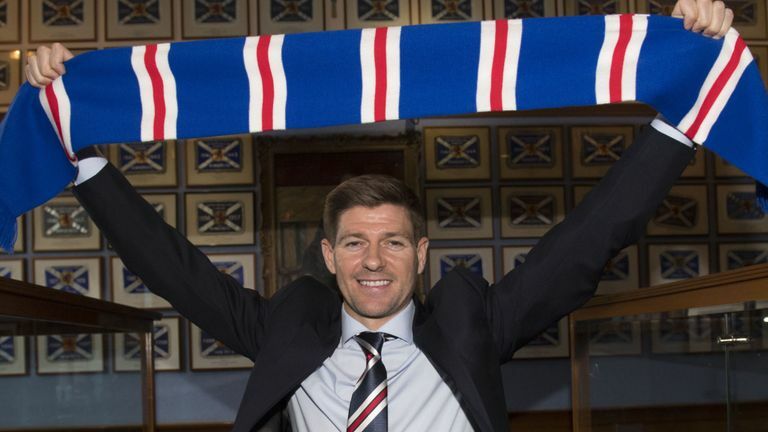 Rangers were dismal in Glasgow’s East End and stood off their opponents far too much earlier this season, something they rectified significantly at Ibrox in December, but with no win at Celtic Park since 2010, Gerrard knows constant hard work off the ball will be crucial if anything is to come back to Ibrox. Surely that would be obvious but it certainly wasn’t over there last time around, and Gerrard acknowledges that. There can be little doubt that while Derek McInnes has done well with Aberdeen (they have the Indian sign over Rangers these days) and Steve Clarke took Killie to new heights too, there are few players these teams have who can do a lot of damage and Rangers’ game against them has rarely been about pressing, but about possession instead. Regardless of how effective it’s been, Gerrard has not exactly been guilty of high pressing against these sides – the other way around it’s tended to be. But with Celtic, it’s a different ball game, and Stevie knows this. And evidently football 101 suggests he will be playing a high-energy compression and pressing game, trying to make his men hassle their opponents constantly and forcing mistakes – completely unlike the last time we got completely gubbed there.